Tensions in Cincinnati have been building since the Archdiocese released a new teaching contract which features an enhanced morality clause which, in part, focuses on LGBT people and allies. 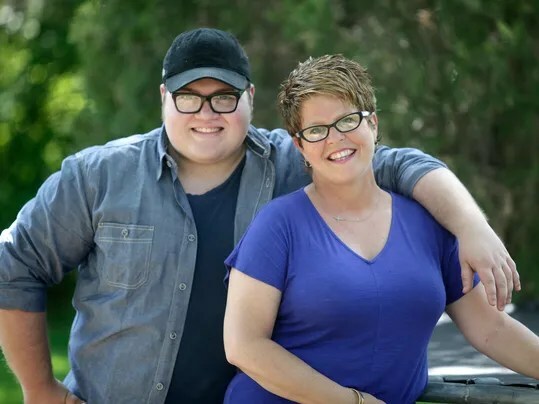 One teacher is standing by her gay son which means sacrificing her career, while other educators weigh their options under an impending deadline. “Though a lifelong Catholic and devoted teacher, the lengthy contract’s starkly detailed restrictions on her personal life – and the freedom to publicly support her now 22-year-old son – stunned her. ” ‘If my son were to say to me, “will you go somewhere with me that is supported or run by gays and lesbians,” I would have to tell him no, according to that contract. And if my picture was taken, what would happen?’ she said. Shumate, who teaches first grade, went on to say that signing the contract would be like “telling my son I’ve changed my mind, that I don’t support him.” Her public stand against the new contract is the first by a teacher, but joins existing protests which reveal just how dissatisfied Catholics are with the archdiocese’s decision. Cincinnati is not unique, with dioceses like Honolulu and Cleveland following suit, but it is a foreboding example of how damaging these type of contracts will be. Forcing educators to choose between the children they love at home and those they serve in the classroom is unjust. Curtailing the labor rights and conscience protections of church workers is inconsistent with the Church’s tradition. Worst of all, acting punitively against church workers is directly opposed to Christ’s witness in welcoming all. Thankfully, church workers like Molly Shumate are taking a stand for LGBT people and a just Church. If the result of these contracts is that most of the LGBT-ally teachers leave their careers in Catholic Education then I think the Diocese will regard it as ‘job well done’. After all, those who leave will be the ones who would cause them ‘trouble’ and those that remain either agree with the Diocese’s intrinsic homophobia or are sufficiently cowed into remaining silent. In either case the hierarchy’s position will be made easier. Instead teachers must fight this and work at gaining support from their colleagues. This cleansing of opposition is a structural weakness of any authoritarian organisation (benign or malign) when the top layers have assumed an unjust groupthink that is largely unsupported by the lower layers (as polls repeatedly show). The best way to deal with it is a dignified but very firm stand by people such as Molly Shumate who can shine a light on such injustice. She mustn’t go quietly! An additional thought for billboards–Would Jesus sign such a contract? Unthinkable! This invasion of the Mom’s rights and dashing of her love relationship is the WORST TRAVESTY yet perpetrated by the Church with regards to teaching & support of Church teaching. The position of the diocese in forcing to choose between love for her son and her job is not imaging Christ. I daresay it smacks of evil hearted administrator – the anti-Christ – for truly it represents everything Christ condemned – hypocrisy and judging your neighbor. If Mom accepts her son and loves him – to the point of standing up for him publicly – not having a thing to do with her teaching position – she is exercising the free will divinely granted her. Our Church has placed itself above God – condemning – not loving. This has pushed me nearer to rejecting a vile institution which I cherish. My Faith in Christ is unshaken but my contempt and scorn for Church hierarchy only deepens. Unless the institutional Church heeds the words of Francis I – the Church’s days are numbered. And rightfully so ! It seems the Catholic church is forcing out the LGBT “sinners” and their “accomplices”. I also can imagine that some teachers will sign these types of contracts and lie about their beliefs about LGBT people in order to keep their jobs; and that will be ok with the church. This is all so sad. What does this say to the children in the classrooms and in the pews? I have left the Catholic church because my son is gay and I refuse to be “in the closet” and treated as “less than”. I applaud and agree with Molly for supporting her son. it seems the Catholic Church has a sort memory of there Priest’s sexually abusing alter boys for years and they covered it up so in my opinon they need to keep there views to there self …… cause your child is your child no matter what there orientation is .